The loss of a spouse may be the most life-altering experience you ever encounter. You may feel that no one understands your sorrow. Do not allow your grief to isolate you from family and friends. Do not allow these feelings to keep you from meeting new people or joining new organizations. There is still LIFE after loss. The LIFE Program is designed to help you adjust to this new life. Our website here will help you understand what the LIFE Program is all about, what we do, keep you updated with news from the Program, and provide an Event calendar so you can see what we’re up to. Feel free to use the Contact Us form to reach out to us (or please call us if you prefer) anytime, and if you want, Subscribe to our E-mail list for periodic updates and notices from the Program. 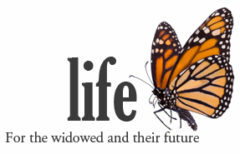 The LIFE Program is open to all widows and widowers of Lake and Sumter County and there are no dues or fees charged.